Cohendet P., (2014) “Interaction between tacit and codified knowledge in socio-spatial context”. Prometheus, vol 32, 4, pp 101-104. Bathelt, H. & Cohendet, P. (2014). « The creation of knowledge: local building, global accessing and economic development – toward an agenda », Journal of Economic Geography, Vol. 14, n°5, pp. 869-882. Cohendet, P., Grandadam, D., Simon, L. & Capdevila, I. (2014). « Epistemic communities, localization and the dynamics of knowledge creation », Journal of Economic Geography, Vol. 14, n°5, pp. 929-954. Thai, M. & Turkina, E. (2014). « Macro-level determinants of formal entrepreneurship versus informal entrepreneurship », Journal of Business Venturing, Vol. 29, n°4, pp. 490-510. Cohendet, P., Llerena, P. & Simon, L. (2014). « The Routinization of Creativity. Lessons from the Case of a Video-game Creative Powerhouse », Journal of Economics and Statistics, Vol. 234, n°2/3, pp. 120-141. Cohendet, P. & Simon, L. (2014). « Le financement de la créativité: nouveaux enjeux et nouvelles approches », International Journal of Arts Management, Vol. 16, n°3, pp. 3-5. Buisson, F. (2014). « How Do Investors Communicate With Innovators Such as “Geeks”? A Case Study of HawkFwd », International Journal of Arts Management, Vol. 16, n°3, pp. 20-32. Gateau, T. (2014). « The Role of Open Licenses and Free Music in Value Co-creation: The Case of Misteur Valaire », International Journal of Arts Management, Vol. 16, n°3, pp. 49-59. Balloffet, P., Courvoisier, F.H. Lagier, J. (2014). « From Museum to Amusement Park : The Opportunities and Risks of Edutainment ». International Journal of Arts Management, Vol. 16, n°2, pp. 4-18. Simon, L. (2013). « Tissages locaux, maillages globaux : nouvelles dynamiques de la créativité et de l’innovation territorialisées pour la compétitivité internationale », Management International, Vol. 18, n°1, pp. 12-17. Grandadam, D., Cohendet, P. & Simon, L. (2013). « Places, Spaces and the Dynamics of Creativity: The Video Game Industry in Montreal », Regional Studies, Vol. 47, n°10, pp. 1701-1714. Cohendet, P., Le Bas, C., Simon, L. & Szostak, B. (2013). « Introduction au dossier : La gestion de la créativité », Gestion: Revue Internationale de Gestion, Vol. 38, n°3, p. 5. Dubois, L.-E. (2013). « La gestion de la performance du personnel de création : mieux comprendre les défis pour mieux les relever », Gestion: Revue Internationale de Gestion, Vol. 38, n°3, pp. 16-24. Harvey, J.-F., Naggar, R., Cohendet, P. & Simon, L. (2013). « Gérer les idées pour mieux innover », Gestion: Revue Internationale de Gestion, Vol. 38, n°3, pp. 25-34. Thai, M. & Turkina, E. (2013). « Entrepreneurial Migration: Its Characteristics, Causes and Effects », Journal of Enterprising Communities, Vol. 7, n°3, pp. 188-195. Turkina, E. & Thai, M. (2013). « Social Capital, Networks, Trust and Immigrant Entrepreneurship: A Cross-Country Analysis », Journal of Enterprising Communities, Vol. 7, n°2, pp. 108-124. Coblence, E. & Aubouin, N. (2013). « Les Nouveaux Territoires de l’Art, entre îlot et essaim: Piloter la rencontre entre friche artistique et territoire », Territoire En Mouvement, numéro spécial sur Artistes et Territoires Créatifs en Europe, 17-18, pp. 91-102. Coblence, E. & Sabatier, V. (2013). « Articulating growth and cultural innovation in arts museums: The business model renewal of the Louvre », International Studies in Management and Organization, Special Issue on Business Models in the Creative Industries, à paraître. Harvey, J.-F., Cohendet, P., Simon, L. & Dubois, L.-E. (2013). « Another cog in the machine: Designing communities of practice in professional bureaucracies », European Management Journal, Vol. 31, n°1, pp. 27-40. Aubouin, N., Coblence, E. & Kletz, F. (2012). « Les outils de gestion dans les organisations culturelles: de la critique artiste au management de la création », Management et Avenir, Vol. 54, pp. 191-214. Cohendet, P., & Gaffard, J.-L. (2012). « Incitation et création de connaissance », Management International, Vol. 16, hors-saison, pp. 11-19. Dumitriu, C. & Capdevila, I. (2012). « L’entreprise multinationale à la croisée de la mondialisation et du management interculturel: comment relever le défi posé par la distance linguistique ? », Management et Avenir, 2012/5, n°55, pp. 103-124. Harvey, J.-F. (2012). « Managing organizational memory with intergenerational knowledge transfer », Journal of Knowledge Management, Vol. 16, n°3, pp.400-417. Mathieu, B. & Coblence, E. (2012). « Décrochage éclair: le Louvre pendant l’occupation allemande (1939-1945) », Entreprises et Histoire, 3/2012, n°68, pp. 146-148. Pénin, J. & Burger-Helmchen, T. (2012). « Crowdsourcing d’activités inventives et frontières des organisations », Management International, Vol. 16, pp. 101-112. Pozzebon, M. & Mailhot, C. (2012). « Citizens Engaged to Improve the Sustainability and Quality of Life of Their Cities: the Case of Nossa Sao Paulo », Journal of Change Management, Vol. 12, n°3, pp. 301-321. Schiffauerova, A. & Beaudry, C. (2012). « Collaboration Spaces in Canadian Biotechnology: a Search for Gatekeepers », Journal of Engineering and Technology Management, Vol. 29, n°2, pp. 281-306. Burger-Helmchen, T. & Cohendet, P. (2011). « User Communities and Social Software In The Video Game Industry », Long Range Planning, Vol. 44, n°5-6, pp. 317-343. Cohendet, P. & Pénin, J. (2011). « Patents to exclude versus include: Rethinking the management of intellectual property rights in a knowledge-based economy », Technology Innovation Management Review, Décembre, pp. 12-17. Cohendet, P., Grandadam, D. & Simon, L. (2011). « Rethinking Urban Creativity: Lessons from Barcelona and Montreal », City, Culture and Society, Vol. 2, n°3, pp. 151-158. Cohendet, P., Roberts, J. & Simon, L. (2011). « Les communautés de pratiques: une introduction », Gestion, Vol. 35, n°4, pp. 31-35. Daunais, S., Zibara, L., Beaulieu, M., Cohendet, P., Moreau, B. & Simon, L. (2011). « Le pilotage des communautés de pratique au sein de l’industrie des télécommunications: une comparaison des sociétés Bell et Orange », Gestion, Vol. 35, n°4, pp. 47-55. Gosselin, F., Barlatier, P.-J., Cohendet, P., Dunlavey, P., Dupouët, O. & Lampron, F. (2011). « Le partage des rôles et des responsabilités à l’égard du pilotage des communautés de pratique », Gestion, Vol. 35, n°4, pp. 36-46. Grandadam, D., Simon, L., Marchadier, J. & Tremblay, P.-O. (2011). « Gérer des communautés de création: Ubisoft Montréal et les jeux vidéos », Gestion, Vol. 35, n°4, pp. 56-63. Pozzebon, M., Petrini, M., Bandeira de Mello, R. & Garreau, L. (2011). « Unpacking Researchers’ Creativity and Imagination in Grounded Theorizing », Information and Organization, Vol. 21, n°4, pp. 177-193. Bach, L., Cohendet, P., Pénin, J. & Simon, L. (2010). « Creative industries and the IPR dilemma between appropriation and creation: some insights from the videogames industries », Management International, Vol. 14, n°3, pp. 59-72. Boily, L. (2010). « Collections, Numérisation et Permutation: entre structures catégoriques et singularités », Recherches Sémiotiques / Semiotic Inquiries (RSSI), Vol. 27, n°1-2, pp. 45-70. Boily, L. & Rousseaux, F. (2010). « La collection, un lieu privilégié pour penser ensemble singularité et synthèse », Recherches Sémiotiques / Semiotic Inquiries (RSSI), Vol. 27, n°1-2, pp. 3-23. Coblence, E. (2010). « Musée modeste, musée moderne ? A propos du livre de Robert R. Janes, Museums in a Troubled World. Renewal, irrelevance or collapse? », Gérer et Comprendre, n°101, pp. 95-96. Coblence, E. & Aubouin, N. (2010). « Opéra de Lyon et Louvre-Lens: l’institution culturelle ne se décentralise pas, elle se réinvente », Revue Espaces, n°283, pp. 10-18. Cohendet P., Grandadam, D. & Simon, L. (2010). « The Anatomy of the Creative City », Industry and Innovation, Vol. 17, n°1, pp. 91-111. Cohendet, P., Llerena, P. & Simon, L. (2010). « The innovative firm: Nexus of communities and creativity », Revue d’Économie Industrielle, Vol. 129-130, pp 139-170. Avadikyan, A. & Cohendet, P. (2009). « Between market forces and knowledge based motives: the governance of defence innovation in the UK », Journal of Technology Transfer, Vol. 34, pp 490-504. Boily, L. (2009). « Codification et industries culturelles : un espace de créativité et d’innovation », Management International, Vol. 13, pp. 102-110. Cohendet, P. & Pawlak, E. (2009). « Diversity of entrepreneurs and diversity of clusters in nanotechnologies », International Journal of Technology Management, Vol. 46, n°3-4, pp. 386-403. Cohendet, P., & Zapata, S. (2009). « Innovation and Creativity: Is there economic significance to the creative city? », Management International, Vol. 13, pp. 23-36. Cohendet, P., Grandadam, D. & Simon, L. (2009). « Economics and the Ecology of Creativity : Evidence from the Popular Music Industry », International Review of Applied Economics, Vol. 23, n°6, pp. 709-722. Cohendet, P., Simon L., Sole Parellada, F. & Valls Pasola, J. (2009). « Creative cities: Introduction », Management International, Vol. 13, pp.1-22. Simon, L. (2009). « Underground, upperground et middle-ground: les collectifs créatifs et la capacité créative de la ville », Management International, Vol. 13, pp. 37-51. Cohendet, P., Grandadam, D. & Simon, L. (2008). « Réseaux, Communautés et Projets dans les Processus Créatifs », Management International, Vol. 13, n°1, pp. 11-25. Guittard, C., Cohendet, P., & Schenk, E. (2008). « Forums intranet, communautés cognitives et cadre hiérarchique », International Journal of Information Science for Decision Making, Vol. 23, n°6, pp 590- 598. Cohendet, P. & Llerena, P. (2007). « The emergence and growth of an improbable laboratory in economics and management: the case of BETA », European Management Review, Vol. 4, n°1, pp. 54-65. Cohendet, P. & Simon, L. (2007). « Playing across the playground: Paradoxes of knowledge creation in the video-game firm », Journal of Organizational Behavior, Vol. 28, n°5, pp. 587-605. Cohendet, P., Guittard, C. & Schenk, E. (2007). « Adoption d’outils TIC dans un contexte hiérarchique: le cas des Forums Intranet », Revue Française de Gestion, Vol. 33, n°172, pp. 159-170. Cohendet, P., Harvey, J.-F. & Simon, L. (2013). « Managing Creativity in the Firm: The fuzzy front end of innovation and dynamic capabilities », dans Burger-Helmchen, T. (ed. ), The Economics of Creativity: Ideas, Firms and Markets, Routledge, pp. 131-150. Freyermuth, J., Cohendet, P. & Pénin, J. (2013). « Appropriation Strategies and Endogenous Technological Regime: Towards a dynamic theory of the role of patents », dans Burger-Helmchen, T. (ed. ), The Economics of Creativity: The Economics of Creativity: Ideas, Firms and Markets, Routledge, pp. 151-166. Amin, A. & Cohendet, P. (2012). « The firm as a ‘Platform of Communities’: A contribution to the knowledge-based approach of the firm », dans Arena, R., Festré, A. & Lazaric, N. (eds. ), Handbook of Knowledge and Economics, Edward Elgar, Cheltenham, UK, pp. 403-434. Burger-Helmchen, T. & Llerena, P. (2012). « Creativity, human resources and organizational learning », dans Buenstorf, G. (ed. ), Evolution, Organization and Economic Behavior, Edward Elgar Publishing, pp. 155-184. Cohendet, P., Mehouachi, C. & Simon, L. (2012). « Connaissance et innovation », dans Tannery, F., Martinet, A.C., Hafsi, T. & Denis, J.P. (eds. ), Encyclopédie de la Stratégie, Economica, Paris. Deschamps, B. & Simon, L. (2011). « La continuité/rupture en contexte de transmission/reprise des PME: concilier l’inconciliable? », dans Cadieux, L. & Deschamps, B. (eds. ), Le duo cédant/repreneur. Pour une compréhension intégrée du processus de transmission/reprise des PME, PUQ, Québec, pp. 31-48. Harvey, J.-F. (2011). « Comment favoriser le partage des connaissances », dans St-Onge, S. (ed. ), Gestion de la performance au travail: Défis et tendances, Collection Gestion et Savoirs, Montréal, pp. 450-464. Coblence, E. (2010). « Acquérir des chefs d’œuvre hors du marché? Le cas de ‘La Fuite en Egypte’ de Poussin », dans Hatchuel, A., Favereau, O. & Aggeri, F. (eds. ), L’activité marchande sans le marché?, Presses des Mines, pp. 297-304. Cohendet P., Grandadam, D. & Simon, L. (2010). « Montréal, ville créative: diversités et proximités », dans Paris, T. & Veltz, P. (eds. ), L’économie de la connaissance et ses territoires, Éditions Hermann, Paris. Cohendet, P. & Gaffard, J.-L. (2010). « Coordonner autant qu’inciter pour connaître », dans Di Biaggio, L. & Meschi, P. X. (eds. ), Le Management dans l’Économie de la Connaissance, Pearson, Paris, pp. 43-77. Cohendet, P. & Munier, F. (2010). « La culture régionale de l’innovation : compétences et indicateurs », dans Héraud, J.-A., Gosselin, F. & Muller, E. (eds. ), Regards croisés sur la culture d’innovation et la créativité en Alsace, Presses Universitaires de Strasbourg, pp. 46-60. Cohendet, P., Héraud J.-A. & Llerena, P. (2010). « Division of Labour and Division of Knowledge in Firms’ Innovative Networks: An Essay on Ehud Zuscovitch’s Theoretical Perspectives », dans Gaffard, J-L. & Salies, E. (eds. ), Innovation, Economic Growth and the Firm: Theory and Evidence of Industrial Dynamics, Edward Elgar, Cheltenham, pp. 169-190. Cohendet, P., Héraud, J.-A. & Llerena, P. (2010). « Une dynamique de l’innovation: une interprétation de l’approche de Michel Callon en termes de communautés de connaissance », dans Akrich, M., Barthe, Y., Muniesa, F. & Mustar, P. (eds. ), Débordements: Mélanges offerts à Michel Callon, Presses des Mines, Paris, pp. 87-106. Gosselin, F., Baier, E., Muller, E., Zenker, A. & Cohendet, P. (2010). « Métropoles créatives : acteurs et facteurs à Montréal, Barcelone et Mannheim », dans Héraud, J-A., Muller, E. & Gosselin, F. (eds. ), Regards croisés sur la culture d’innovation et la créativité en Alsace, Presses Universitaires de Strasbourg, pp. 131-138. Gosselin, F. & Kern, F. (2009). « Territoires et innovation: le développement d’aménités écotouristiques en Alsace », dans Héraud, J-A., Muller, E. & Gosselin, F. (eds. ), Regards croisés sur la culture d’innovation et la créativité en Alsace, Presses Universitaires de Strasbourg, pp. 91-99. Cohendet, P. & Llerena, P. (2009). « Organisations of firms, knowing communities, and limits of networks in a knowledge intensive context », Morroni, M. (ed. ), Corporate Governance, Organization and the Firm, Edward Elgar, Cheltenham, pp. 104-122. Cohendet P., Guittard C. & Schenk, E. (2009). « TIC et communautés: le forum comme espace de socialisation », dans Bootz, J.-P. & Kern, F. (eds. ), Les communautés en pratique, leviers de changement pour l’entrepreneur et le manager, Hermès-Lavoisier, Paris. Llerena, P., Burger-Helmchen, T. & Cohendet, P. (2009). « Division of labor and division of knowledge: A case study of innovation in the video game industry », dans Cantner, U., Gaffard, J.-L. & Nesta, L. (eds), Schumpeterian Perspectives on Innovation, Competition and Growth, Springer, pp. 313-333. Cohendet, P. & Llerena, P. (2008). « The Role of Teams and Communities in the Emergence of Organizational Routines », dans Becker, M. (ed. ), Handbook on organizational routines, Edward Elgar, Cheltenham, pp. 256-280. Cohendet, P. & Simon, L. (2008). « Knowledge intensive firms, communities and creative cities », dans Amin, A. & Roberts, J. (eds. ), Community, Economic Creativity and Organization, Oxford University Press, Oxford, pp. 227-253. Becker, M., Cohendet, P. & Llerena, P. (2007) « Division of labor and division of knowledge: why the nature of the causality really matters for the evolutionary theory of the firm? », dans Cantner, U. & Malerba, F. (eds. ), Innovation, Industrial Dynamics and Structural Transformation: Schumpeterian Legacies, Springer Verlag, pp. 49-66. Boily, L. & Dalbera, J.-P. (2007). « La valorisation numérique des patrimoines culturels : des savoirs à transmettre », dans Badioli, F., Lory, J.-L. & Vauthier, J. (eds. ), Après EUMEDIS: Réflexions et Suggestions pour le Partage des Connaissances dans l’Espace Numérique Euro-Méditerranéen, Université Pierre et Marie Curie – Paris 7, Paris, Chapitre 5, pp. 77-84. Boily, L. & Chartrand, M. (2012). Conjuguer avec les médias. Les défis inédits du relationniste, Les Presses de l’Université Laval, Québec, 2ème édition. Burger-Helmchen, T. (2012). Entrepreneurship – Creativity and Innovative Business Models, Intech Publisher, Rijeka, Croatie. Cohendet, P., Burger-Helmchen, T., Pénin, J. & Gallo, J. (2011). Principes d’économie, Pearson Education, 7ème édition (Adaptation française de l’ouvrage de Sloman, J. & Wride, A., intitulé Economics). Héraud, J.-A., Muller, E. & Gosselin, F. (2010). Regards croisés sur la culture d’innovation et la créativité en Alsace, Presses Universitaires de Strasbourg. Boily, L. & Chartrand, M. (2009). Conjuguer avec les médias. Les défis inédits du relationniste, Les presses de l’Université Laval ,Québec. Belch, G. E., Belch, M. A., Guolla, M. A., Balloffet, P. & Coderre, F. (2008) Communication marketing, Chenelière McGraw-Hill, 2ème édition. Cohendet, P., Burger-Helmchen, T., Pénin, J. & Gallo, J. (2008). Principes d’économie, Pearson Education, 6ème édition (Adaptation française de l’ouvrage de Sloman, J., intitulé Economics). Simon, L., Dionne, K.-E., Alvarez, J. & Cohendet, P., (2016). «Categorizing and understanding collaborative innovation approaches», Social Sciences and Humanities Research Council, knowledge synthesis Grants, Access, ethics and governance, Theme 1a, Octobre 2016. Cohendet, P. & Simon, L. (2011). « L’importance accrue de la créativité au sein des entreprises contemporaines », Revue Effectif, revue de l’Ordre des Conseillers en Ressources Humaines Agréés. Aubert, B., Cohendet, P. & Montreuil, B. (2010). « Livre blanc: L’innovation et les technologies de l’information et des communications », Projet de recherche du CEFRIO et de DMR Conseil en collaboration avec le Ministère du Développement Économique, de l’Innovation et de l’Exportation du Québec, le Ministère des Finances du Québec et le Ministère des Services Gouvernementaux du Québec. Muller, E., Peters, M., Héraud, J.-A., Zenker, A. & Gosselin, F. (2010). « Résultats d’une enquête portant sur la perception du Rhin Supérieur par les acteurs du Pilier Science de l’opération Région Métropolitaine Trinationale », Note de recherche evoREG, novembre 2010. Cohendet, P. & Simon, L. (2010). « Accompagnement et analyse dynamique de l’évolution d’une communauté de pratique au sein de la CSN », Projet de recherche du CSN, septembre 2010. Cohendet, P., Simon, L., Harvey, J.-F., Reid Triantafyllos, M.-A., Grandadam, D., Jacob, R. & Elsliger, J. (2010). « Les outils de partage de connaissances chez Bell Solutions Entreprises », Projet de recherche BISTRO 2 en partenariat avec Bell Canada, avril 2010. Muller, E., Gosselin, F., Héraud, J.-A., Zenker, A. & Simon, L. (2009). « Un Ideas Lab à Strasbourg: Quelles perspectives? », Note de recherche evoREG, décembre 2009. Cohendet, P., Simon, L., Daunais, S., Grandadam, D., Tremblay, P.-O., Jacob, R. & Elsliger, J. (2009). « Transfert de connaissances chez les Consultants en Solutions d’Entreprises de Bell », Projet de recherche BISTRO 1 en partenariat avec Bell Canada, septembre 2009. Cohendet, P., Simon, L., Gosselin, F., Jacob, R. & Elsliger, J. (2008). 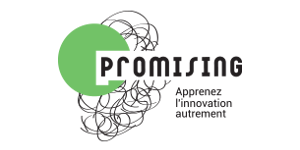 « Mise en place de la communauté de pratique Lean », Projet de recherche MosaiC en partenariat avec IBM Bromont, août 2008. Amar, D., Cohendet, P. & Simon, L. (2008). « Le cluster biopharmaceutique du Grand Montréal, Diagnostic, enjeux et stratégie », HEC Montréal, mai 2008. Mosaic-HEC Montreal, Ryerson University and the University of Barcelona invite you to become a key actor of the creative economy !